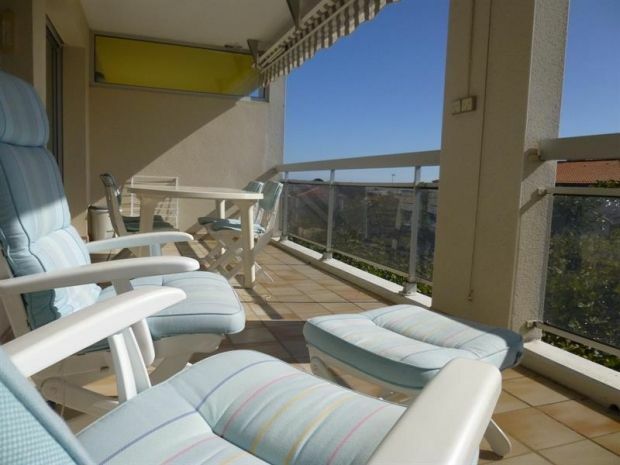 Apartment on the second floor of a residence with a lift, and just 250m from the beaches of Chay (close to Thalassotherapy centre) and Foncillon. With: living room (sofa bed of 140, flat-screen TV) opening to a large south-west facing terrace with sun blind and outdoor furniture. Kitchen (ceramic hob, extractor, mini oven, microwave, fridge-freezer). Double bedroom with bed of 140. Shower room. WC. ON STREET PARKING - SEA VIEWS - QUIET AREA - SLEEPS 4. The Chay is a residential area of the city of Royan. Located in the western part of the town, it is adjacent to the districts of Foncillon and Pontaillac. It shelters two small "conches", or beaches: that of Chay and that of Pigeonnier. For the more athletic, there will be the Garden Tennis facing the house, place which, without a doubt is one of the most beautiful clay sites in France thanks to an exceptional location, overlooking the sea and the estuary; or a sports course that is set up along the coast, with a dozen apparatuses (weight machines, rowing machines, etc.) accessible self-service, or even access to the cycle route EuroVelo 1 (" Vélodyssée ") is located nearby. For others, the thalassotherapy center located on the cliff will be nearby and finally, a walking path is built. Many activities await you!